The core dataset of demographic and clinical data on all admissions, collated by PICANet, allows comparison of PICU activity at a local level with national benchmarks such as PIC Standards. This dataset provides an important evidence base on outcomes, processes and structures, that permits planning for future practice, audit and interventions. PICANet has also expanded its data collection to include the referral and transport of children who need paediatric intensive care. This enables us to compare and audit important aspects of care for these children. Examples of the Data Collection forms we use are available in the Data Collection section. Each year PICANet produces audit reports to show the changes and comparisons over the three year reporting period. All annual reports are accessible in the Annual Report section. The Paediatric Intensive Care Audit Network (PICANet) was established in 2002 by the Universities of Leeds, Leicester and Sheffield with the support of the paediatric intensive care community and their active support continues to be a key component of our successful progress. 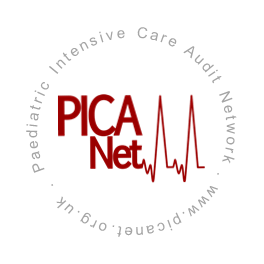 PICANet is an audit database recording details of the treatment of all critically ill children in paediatric intensive care units (PICUs). We have now expanded to include two sites in Dublin – Our Lady’s Children’s Hospital, Crumlin and The Children’s University Hospital, Temple Street and also joined by The Harley Street Clinic and The Portland Hospital for Women and Children in London. Since November 2002, all NHS PICUs within England and Wales outside the Pan Thames region have been collecting data on consecutive admissions to their units. The Pan Thames units began data collection in March 2003, and the PICU at the Royal Hospital for Sick Children, Edinburgh in December 2004. The Royal Hospital for Sick Children, Glasgow in March 2007 and The Royal Belfast Hospital for Sick Children in April 2008. Our Lady’s Children’s Hospital, Crumlin and the Children’s University Hospital, Temple Street, both based in Dublin, have submitted anonymised data to PICANet from 2010. The non-NHS Harley Street Clinic PICU started contributing data in September 2010 followed by The Portland Hospital for Women and Children PICU in July 2013, to allow them to compare their performance against the national benchmark provided by PICANet. The PICANet Audit is commissioned by the Healthcare Quality Improvement Partnership (HQIP) as part of the National Clinical Audit Programme (NCA). HQIP is led by a consortium of the Academy of Medical Royal Colleges, the Royal College of Nursing and National Voices. Its aim is to promote quality improvement, and in particular to increase the impact that clinical audit has on healthcare quality in England and Wales. HQIP holds the contract to manage and develop the NCA Programme, comprising more than 30 clinical audits that cover care provided to people with a wide range of medical, surgical and mental health conditions. The PICANet Audit is funded by NHS England, NHS Wales, NHS Lothian/National Service Division NHS Scotland, the Royal Belfast Hospital for Sick Children, The National Office of Clinical Audit (NOCA), Republic of Ireland and HCA Healthcare. Collection of personally identifiable data has been approved by the Patient Information Advisory Group ( now the Health Research Authority Confidentiality Advisory Group ) and ethical approval granted by the Trent Medical Research Ethics Committee, ref. 18/EM/0267. The previous REC Reference number for this application was 05/MRE04/17 +5.